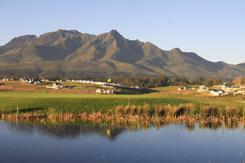 Fancourt Hotel and Golf Estate is without doubt one of the world best golfing hotel destinations. 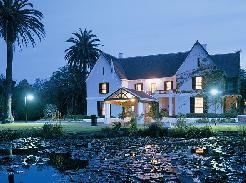 Voted the Golf Hotel of the Year for 2003 it offers Manor Rooms or Garden Suites plus four world class golf courses Montague / Outeniqua / The Links ( which hosted the 2003 Presidents Cup Golf Tournament) and Bramble Hill. 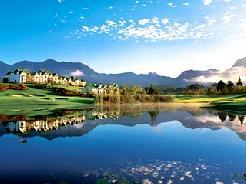 There are other truly magnificent resort hotels with championship golf courses such as Simola, the new Ernie Els’ Oubaai Golf Resort and the dramatic clifftop Pezula and Pinnacle Point Resort courses - all set in the heart of our Garden Route golfing paradise. Other accommodation options provide a variety of Guest Houses and Hotels all along the Garden Route from George to Knysna and Plettenberg Bay - something to suit everyone's taste.